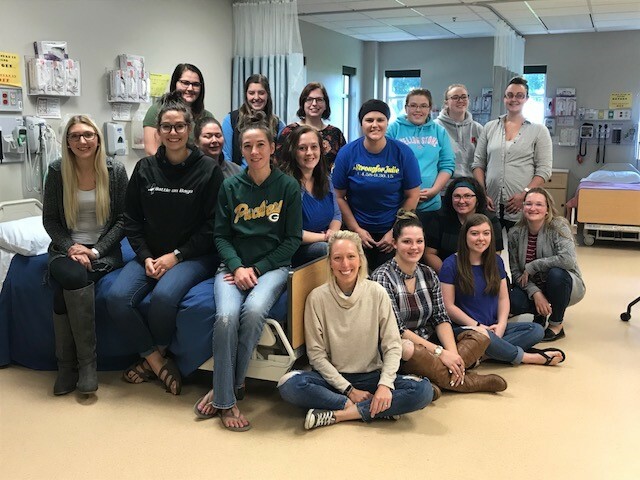 NSNA (National Student Nursing Association) member students support our Associate Degree Nursing program by participating in community affairs and activities. This organization is open to students enrolled in the Associate Degree Nursing program who are working toward becoming a Registered Nurse. NSNA members conduct Blood Drives within the college and encourage participation in community affairs and activities. They act as spokespersons for the association, while developing leadership skills for the Health Care profession. When you become a member of NSNA, you automatically become a member of the Wisconsin Student Nurses Association, and the local chapter at Southwest Tech. You have opportunities to meet with other nursing students to provide support and reassurance that you can be successful in the profession. You will make professional contacts (access to new opportunities, friends, employment, and information). You identify and receive reinforcement of being part of a professional organization. You can list your membership/involvement on a resume.